Animal Skulls can tell us many things about creatures and how they survive in their natural environment. A few relatively simple observations of an animal’s skull can tell us what the animal ate, whether the animal was predator or prey, and which senses where most important to the animal’s survival. 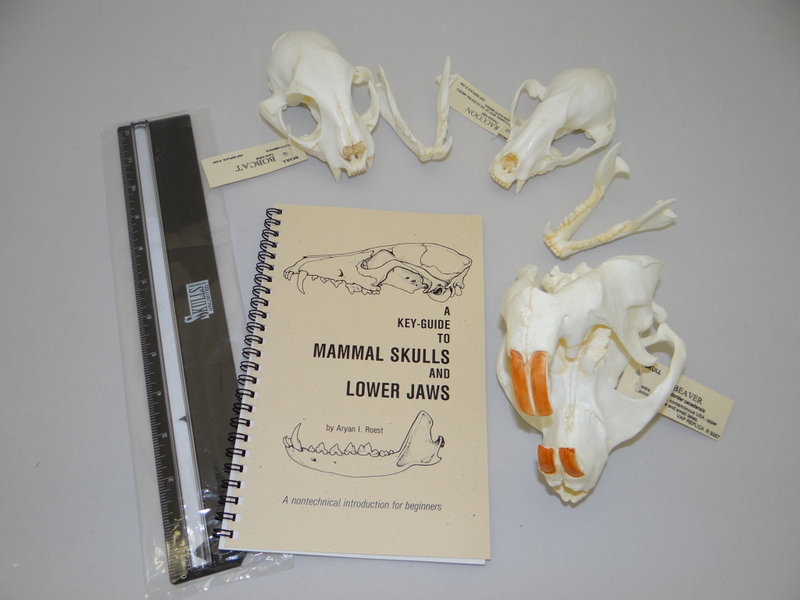 See what conclusions you can draw after close examination of the skulls provided in this kit. 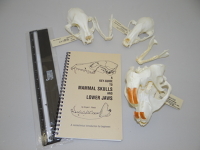 In this kit: Replica skull of bear, deer and cat; set of 3-5 “mystery skulls” from which learners can draw conclusions; rulers, and activity guide.